I thought some games could add a bit of fun and bring more people to the site. If these games don't work try viewing the site on a different computer, or they may be blocked on a school/business network. 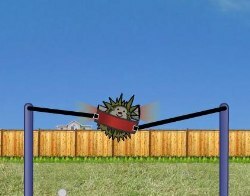 Hedgehog Launcher- A classic- Click on the picture! Penguin Push- Not quite related to Cheshire Wildlife! Atomic Badger Racing- Another classic! More to come... Requests on the Guestbook!